Are you looking for an utterly magical holiday experience this season? 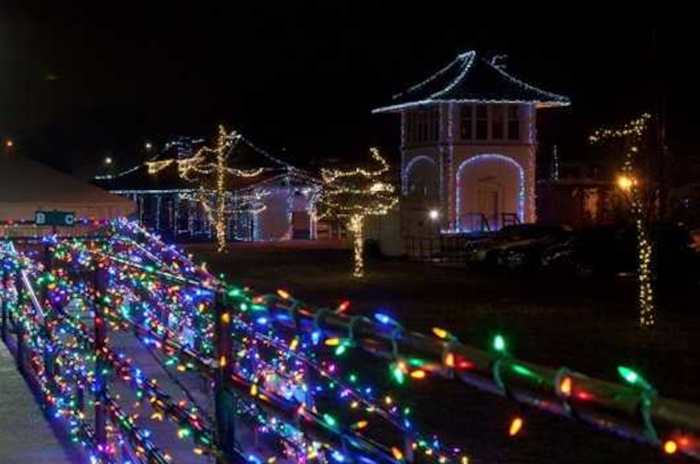 Then climb aboard The Train to Christmas Town in Buzzards Bay. 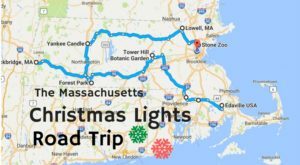 Hosted by the Cape Cod Central Railroad, this enchanting ride across Cape Cod will whisk you away to a glittering holiday village. 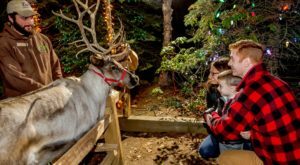 The Train to Christmas Town is a seasonal train ride that is based on the beloved children’s book. The book tells the tale of two siblings who ride a special train to Christmas Town each year and encounter many wonderful surprises along the way. 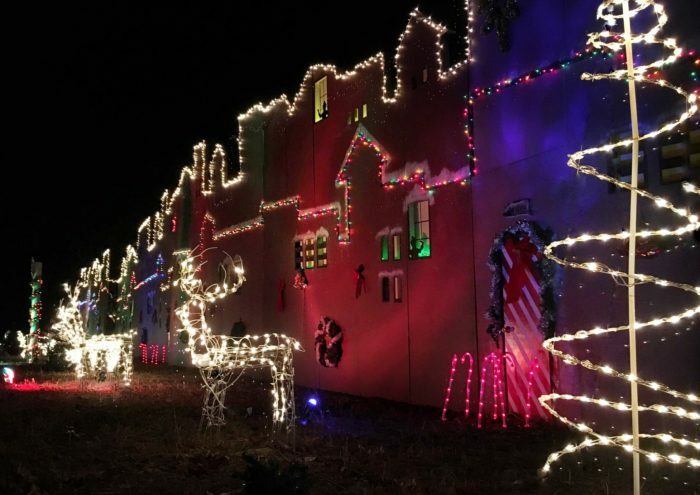 The real-life Christmas Town train recreates that magic right here in the Bay State. The journey begins in Buzzards Bay, where guests are greeted by the conductor and given a special ticket. 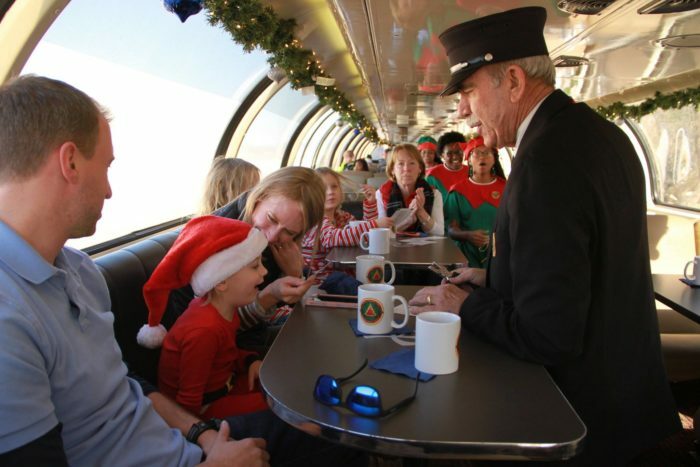 Christmas music will be playing and elves dance up and down the aisles, leading the passengers in sing-along songs. As the trip gets underway, cookies and rich hot chocolate will be served. 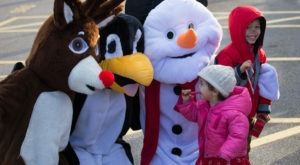 Families can also play holiday games and meet characters from the book as they chug along to Christmas Town. Everyone is encouraged to wear their coziest pajamas, Christmas themed outfits, or ugly sweaters to add to the fun. 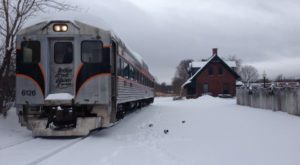 Once the train starts getting close to its destination, passengers can watch from the window as the train approaches the enchanting lighted town. 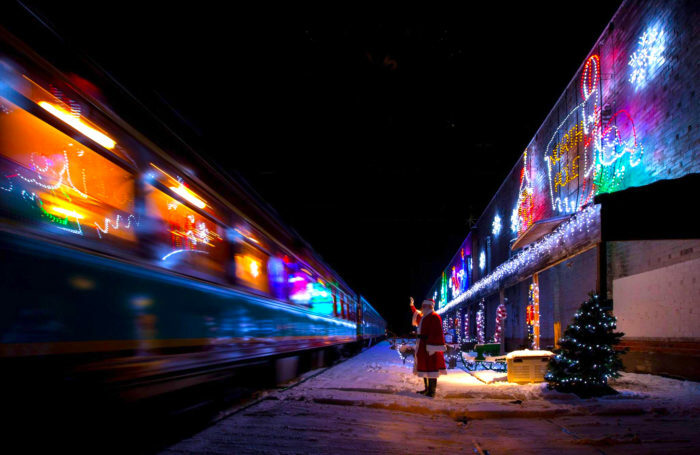 You can wave to Santa and his elves before the train stops and the jolly man himself climbs aboard to greet all the passengers personally before the train heads back to the station. Every child will take home a keepsake from Santa. 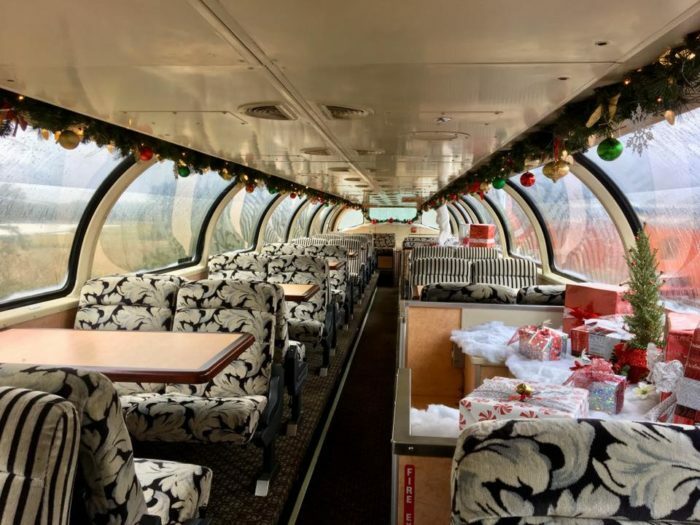 This experience is geared towards families and kids, but any holiday enthusiast will get a kick out of the train ride. Tickets are $54 for adults and $44 for children 12 and under. First class and diamond class tickets are also available. 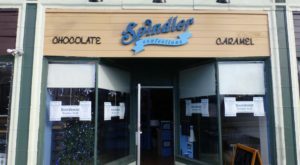 The Train to Christmas Town runs between Nov. 23 and Dec. 23 and departs from the Buzzards Bay Depot at 70 Main St., Buzzards Bay, Mass. 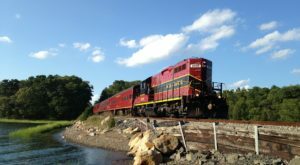 Check out the Cape Cod Central Railroad website to buy tickets and learn more. 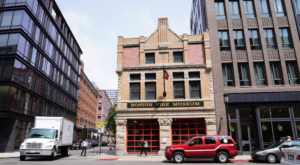 For more of the best wintery places to visit in Massachusetts, click here.